Yesterday evening Vertical Inc. posted a vine of Cardfight!! Vanguard volume 5, showcasing both the manga's latest promotional card and a page from the volume's omake, Episode 0. 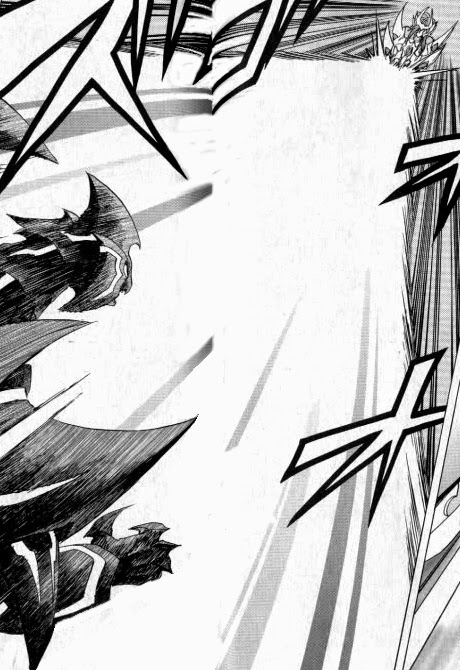 This zeroth chapter of the manga details Kai Toshiki's past, and is the first canonical appearance of Link Joker cardfighter Ibuki Kouji, a major character in the fifth anime series Cardfight!! Vanguard G as well as the principle antagonist in the film Neon Messiah. Having first debuted in Japan in January of 2013, the English translation of the zeroth chapter marks the close of the manga's first arc. The initial five volumes of the Cardfight!! 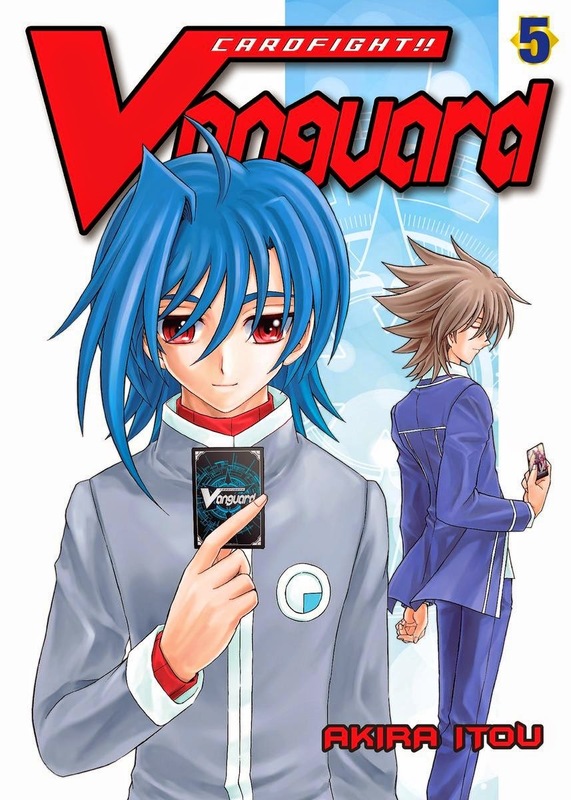 Vanguard manga approximately correspond to the first season of the anime series, while the sixth through eighth volumes currently released in Japan correspond to the anime's Link Joker and Neon Messiah chapters. While the first three volumes were packaged with Studio TMS' alternate artworks for Blaster Blade, Dragonic Overlord and Blaster Dark, beginning with volume 4 the English-language promotional cards have matched their Japanese counterparts. Hence while volume 4's was The Dark Dictator, volume 5's is Exculpate the Blaster. The motivation behind reprinting the promo cards, which in English were originally distributed as box toppers, was likely that these cards have not been reprinted since their initial run two years prior. Exculpate in particular was only available as a topper for VGE-EB01: Comic Style Vol. 1, one of the least successful sets in the history of the English-language card game. 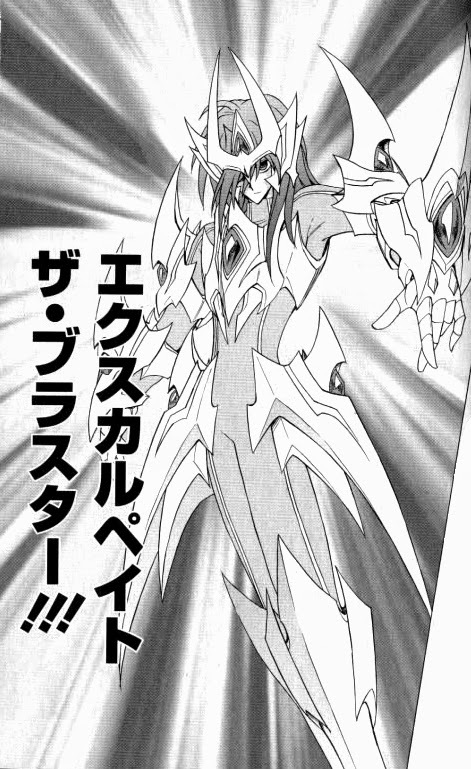 The fifth volume of the Cardfight!! Vanguard manga will be released on February 17th, and can be preordered through Amazon. Volume 6 is to follow on May 26th, and volume 7 on August 25th.